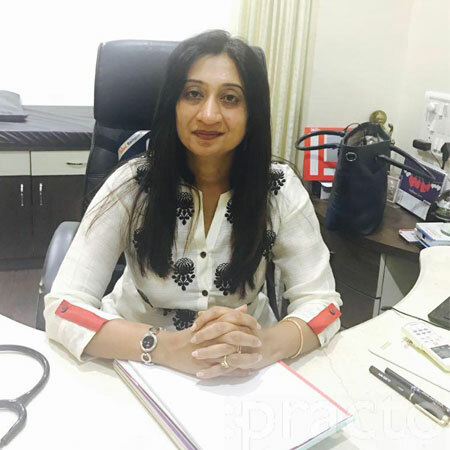 A qualified diabetologist and endocrinologist, Dr. Vaishali Pathak offers one of the best treatments to diabetic patients and to those complaining about ailments in their endocrine organs. Ever since the time this medical practitioner started practicing, the individual has always ensured to treat the condition based on the patient’s symptoms, duration of illness, complications of diabetes and other necessary case history so as to address the problem from its root. Dr. Vaishali Pathak in Pune holds a clinic that is absolutely healthy and hygienic for consultation and treatment. Going through the medical history, conducting physical examinations, studying lab X-Rays and ordering additional tests are an integral part of this physician’s daily job. Depending on the diagnosis, this doctor selects the most appropriate treatment course.